Looks like the new Armada isn't a "Titan SUV" anymore. Yet it does look very familiar. 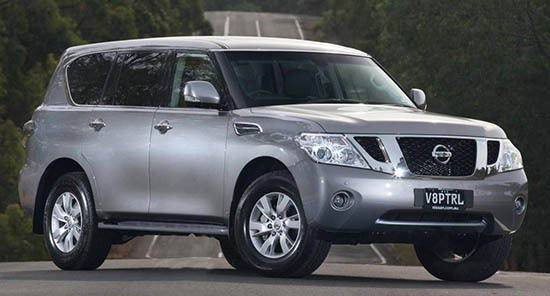 Here is the Nissan Patrol. Which has been sold in other countries for a while. And of course, our own Infiniti QX80. Which is just a luxury version of the Patrol. I guess Nissan doesn't except to sell to many Armadas. It seriously took them 5 years to do this???? Didn't the current QX56/QX80 come out for the 2011 Model year? It's already gotten a refresh and I assume it'll be replaced in a couple years! Instead they let the Armada rot to hell on the vine for 13 years and then bring over the new product 5 years after the fact. Except this vehicle debuted in 2010 as the Patrol...so we're getting a 6+ year old vehicle hailed as all new? Ridiculous. Not bad looking though it looks a little dated honestly. And please stop with these little fender vent things. They really are an eyesore. The styling on all three is very very dated. looks like late 90's Subaru. 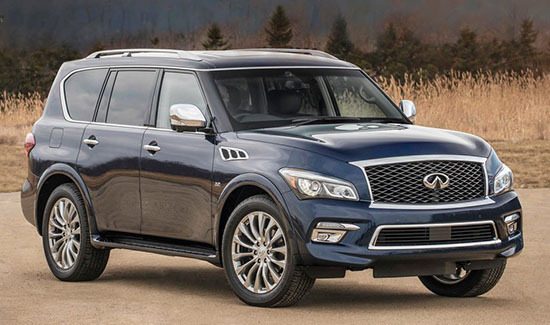 I cannot get past the horrific "coffin" look of the QX80. Such disfigurement is offensive and far from evoking luxury. The SUV of Kings.....Saudi Royals move about mainly in this Vehicle as the Nissan Patrol. Class, heft, elegance, presence. waaaaayyyyy better than a Cadillac. Quality looking unit. If it's anything near the finish on the Infiniti, a winner! Wonder if they will end up offering a "Patrol" trim level with appointments nearly as nice as those in the Q80 (and a price to match) to compete with the Land Cruiser?